Trump calls opioid crisis a priority. So where's the funding? Every 25 minutes an infant is born to an opioid-addicted mother, and that's when the intense care starts. The average hospital bill to Medicaid in Missouri is about $63,000 per birth of a child with so-called neonatal abstinence syndrome. These babies may experience difficulty eating and breathing, rapid weight loss and sometimes seizures; on average, they stay in the hospital for three weeks after birth. From 2009 to 2012, hospital billing for care of these infants soared from $732 million to $1.5 billion, according to the last comprehensive analysis by Journal of Perinatology. Since that study, addiction rates have only climbed but there has been no more recent estimate of the costs incurred. "The public health problem is here, it's not in the future in terms of impact the epidemic is having on pregnant women," said Dr. Stephen Patrick of Vanderbilt Children's Hospital. "It's affecting every community now, and we are still faced with limited resources." Neonatal abstinence syndrome is one reason experts say the opioid crisis will take a full generation to reverse. But on the federal level, even as Congress and President Donald Trump call the epidemic a public health emergency, Congress hasn't backed up their words with the funding or long-term strategy advocates and providers on the frontlines want to see. In late 2016, Congress appropriated $1 billion in two-year grants for states through the 21st Century Cures Act. This followed earlier funding from the Comprehensive Addiction and Recovery Act (CARA). So far that has been it, despite promises that more funding is imminent. Senators including Maggie Hassan (D-N.H.) have called for another $45 billion. Sen. Roy Blunt (R-Mo. ), who chairs the health appropriations subcommittee, said the Senate's planned appropriation for the epidemic is substantial, although he and other lawmakers have declined to specify the actual amount. The additional money appears to be on hold though, caught up in the larger budget fights that have kept GOP and Democratic leadership from passing a comprehensive spending bill. Providers and advocates want Congress to decide on a funding number as well as a long-term funding plan so they can build infrastructure to beat back the long arms of the epidemic. "Obviously the fact Congress cares enough about what's going on that they appropriate fairly significant money is a good thing," said Chuck Ingoglia of the National Council for Behavioral Health. "But the problem for states and providers is, how do you plan for two-year money?" Or, as Leslie Porth of the Missouri Hospital Association said, "Grants help us provide state money, but we need long-term solutions." The Substance and Mental Health Services Administration (SAMHSA) has so far disbursed $485 million in grants from the 21st Century Cures funding to states and territories to establish systems. The agency also released $20 million in through Comprehensive Addiction and Recovery Act (CARA) funding last September, a SAMHSA official told Modern Healthcare. These funds were supposed to focus on treating opioid-addicted pregnant and postpartum women and increase patient access to overdose reversal drugs and community recovery groups. Missouri officials are thrilled the results seen so far from its treatment program funded through its SAMHSA-disbursed Cures money. The state's two-year grant, of just over $10 million per year, started in May 2017 and expires at the end of April 2019. The state decided on a medication-assisted treatment model instead of abstinence and focused on urban hospital emergency departments because, Porth said, emergency rooms had become the primary treatment centers for opioid addicts. 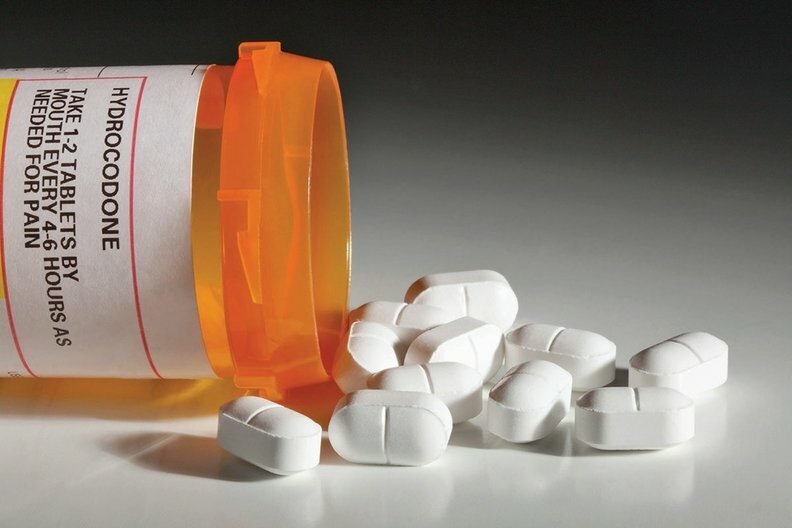 Emergency physicians are trained in managing opioid patients. They give three-to-five day medication prescriptions and then connect the patients to peer recovery support groups. Six months into the program, 75% of its 600 patients have stuck to treatment. This compares to a national average of 10 to 20%. However, Porth and other providers and advocates note this is just the start. And for states like Missouri that didn't expand Medicaid, providers don't have a permanent, reliable funding stream to fund treatment for poor patients up to 138% of poverty the way expansion states do. Hospitals in these states that treat opioid patients face far more uncompensated care costs. For example, in Missouri and other non-expansion states, childless adults can't enroll in Medicaid at all. If they are uninsured, hospitals absorb the cost of their care. Even adults who have custody of a child doesn't qualify for Medicaid in Missouri unless he or she earns 19% of the poverty line — which translates into an annual income of about $2,300 or less. Porth said roughly 66% treated through the SAMHSA-funded opioid treatment program are uninsured. Without the program, hospitals would bear the full cost of that care. Non-expansion states like Missouri also have fewer options for long-term treatment facilities that Medicaid will reimburse them for. Expansion states on the other hand can take advantage of a CMS waiver that now allows clinics to bill Medicaid for housing opioid addicts undergoing treatment. CMS Administrator Seema Verma encourages states to apply for a waiver to the so-called IMD-exclusion, a part of Medicaid statute that essentially blocks Medicaid reimbursements for mental health treatment in large hospitals or institutions. Yet this waiver benefits expansion states far more than non-expansion states. Missouri, for example, has just 11 treatment centers that can bring in opioid addicts and still get reimbursed by Medicaid. Big-picture issues like this drive providers to call on Congress for a bigger-picture approach to its funding policy. Patrick, from Vanderbilt Children's Hospital, said he likes an approach similar to the Ryan White Act that set up a comprehensive approach to the HIV/AIDS epidemic. "There needs to be longterm funding to set up infrastructure and train providers, modeling on something like Ryan White," Patrick said. But the opioid epidemic is more widespread than the HIV/AIDS epidemic, Porth noted. "No amount of money can change it overnight because there is not enough infrastructure," Porth said. She said investments need to be made at the right place and the right time to grapple with the crisis that "will take a generation to reverse." "We are looking at a full generation, and we are at the beginning of that and we don't have the infrastructure in place," Porth said. While legislators are agitating to act, it isn't clear what kind of course they're willing to take beyond another funding appropriation. "I think generally our view up until now is that you have to get more resources to people who already know how to run the programs rather than come up with a new structure," Sen. Blunt told Modern Healthcare. "At least to me no one has been proposing a new structure". The House Energy & Commerce Committee, which has jurisdiction over the issue, will hold a series of hearings late in February, but the committee hasn't yet released the legislation to be considered and one mental health lobbyist close to talks said lawmakers want to keep the proposals as low-cost as possible. Want to continue the conversation about the opioid crisis? Join Modern Healthcare on April 25&26 at its Opioid Crisis Symposium. To learn more and register, visit ModernHealthcare.com/CCOpioids.